Good arm protection is a must whenever you are heading into combat. 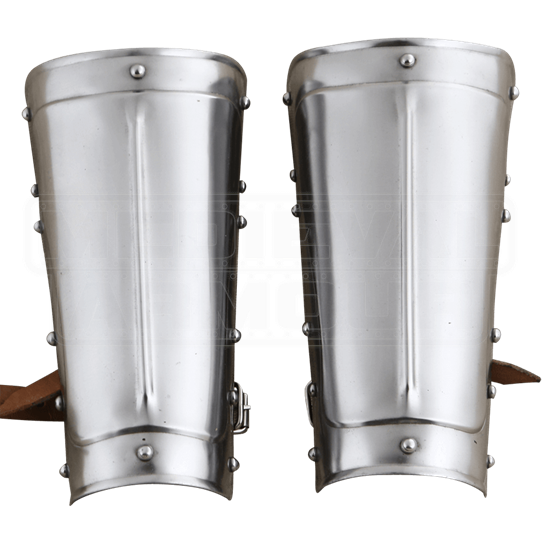 And these Economy Steel Arm Guards offer good, solid protection, which will keep your arms safe from impending strikes, while leaving you free to return your own counterattacks. Crafted entirely in fine 18 gauge mild steel, these bracers are made to be light yet functional. The steel bracers fit around the arm and are reinforced with rivets along the sides, while also possessing a ridge down the center, for added strength. They are offered in one versatile size, and come complete with leather straps and buckles, which are used to secure the arm guards to your forearms. 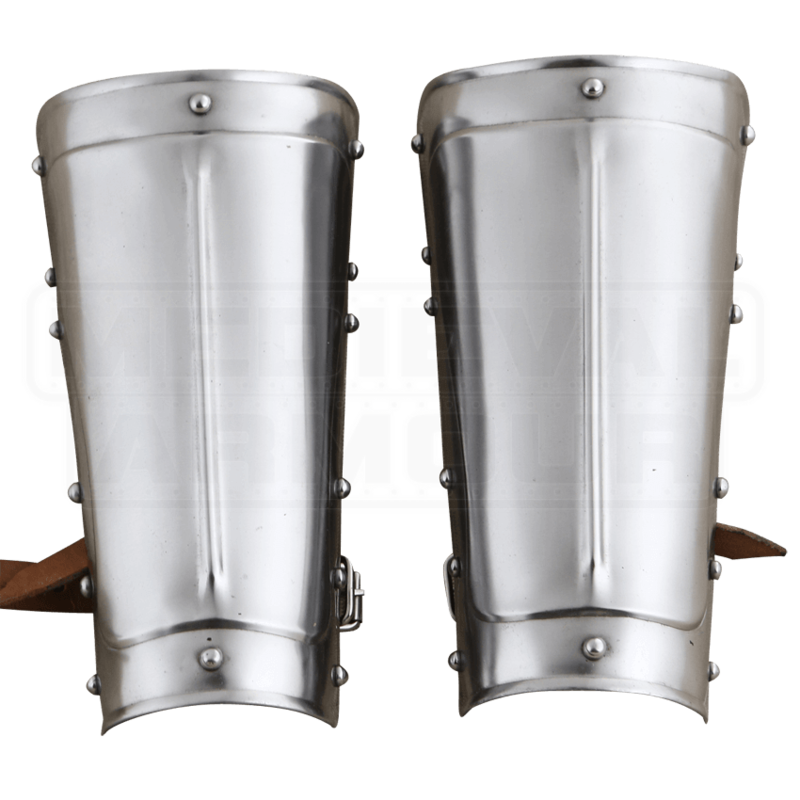 Crafted with defense in mind, these Economy Steel Arm Guards are great for reenactments and for medieval events, serving well as both costume armor and functional protections. Plus, they are also quite affordable too, ensuring that anyone can have the protection that they need.